These classic, simple earrings feature 8mm Rosaline Swarovski pearls and Light Rose Swarovski crystals, enhanced by a twisted 'love knot' ring from TierraCast. The sterling silver lever backs make them comfortable and secure. 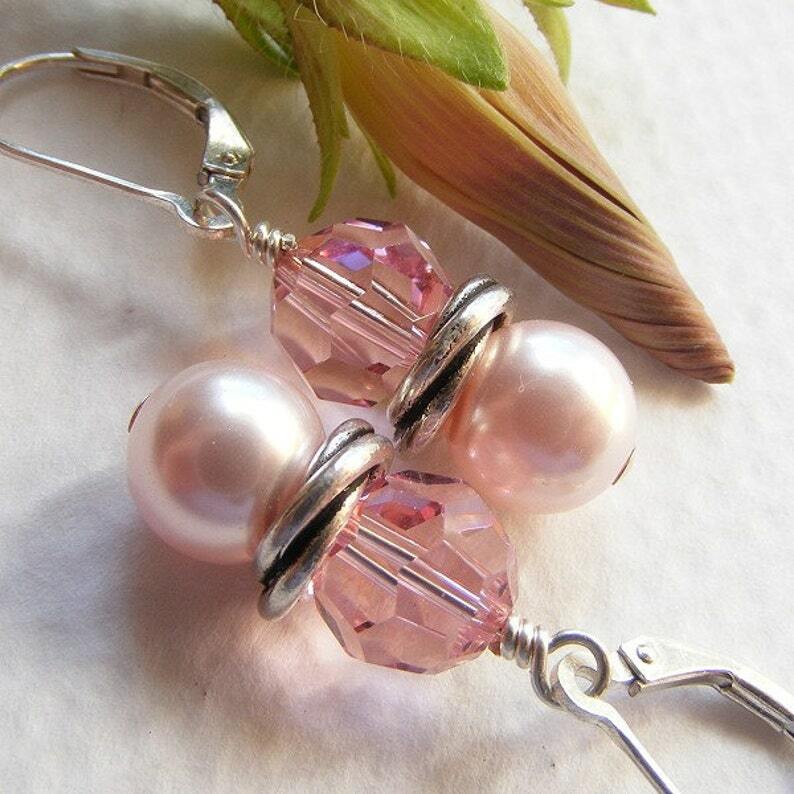 These are great basic earrings that can be worn all year round with casual or dressy looks. Also perfect for brides and wedding parties. Please convo me with special color requests and allow a few extra days for custom orders.